A fresh hand-made cheese made from pasteurised cow's milk. The outer shell is mozzarella stretched to form a ball. This is filled with the fresh cream (or "butter") of the milk creating a rich, decadent cheese. Burrata, meaning "buttery" in Italian is a fresh cheese made from a mix of mozzarella and cream. 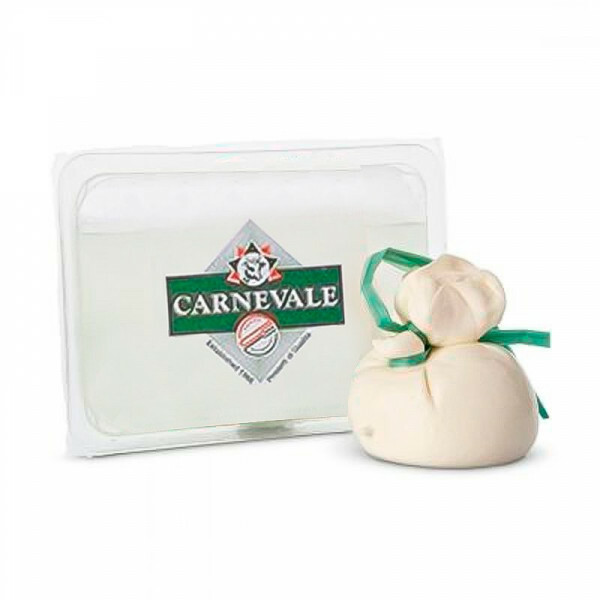 The outside thin shell is a pasta filata curd made of cow's milk mozzarella while the insides contain a soft, doughy, stringy, mixture of curd and fresh cream. The cheese originated in the Apulia region of Italy known for sheep farming and agriculture. 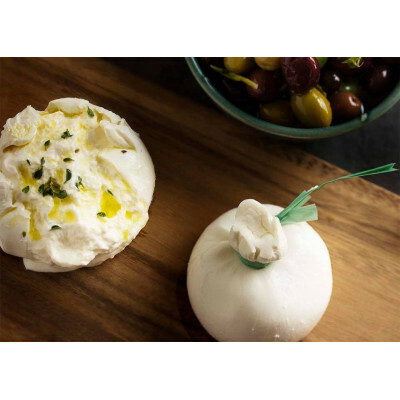 When you cut open a Burrata, it oozes with buttery and creamy panna containing scraps of mozzarella. Burrata is usually served fresh at room temperature and beyond 48 hours, it is considered past its prime. It goes well with salads, crusty bread, and prosciutto, fresh tomatoes with olive oil and with spaghetti. cow's milk, cream, Salt, Rennet, Citric Acid.